Higher education can be understood as a process of self-formation or self-cultivation, immersed in complex knowledge, that enables the student to become more capable and more autonomous and self-determining. 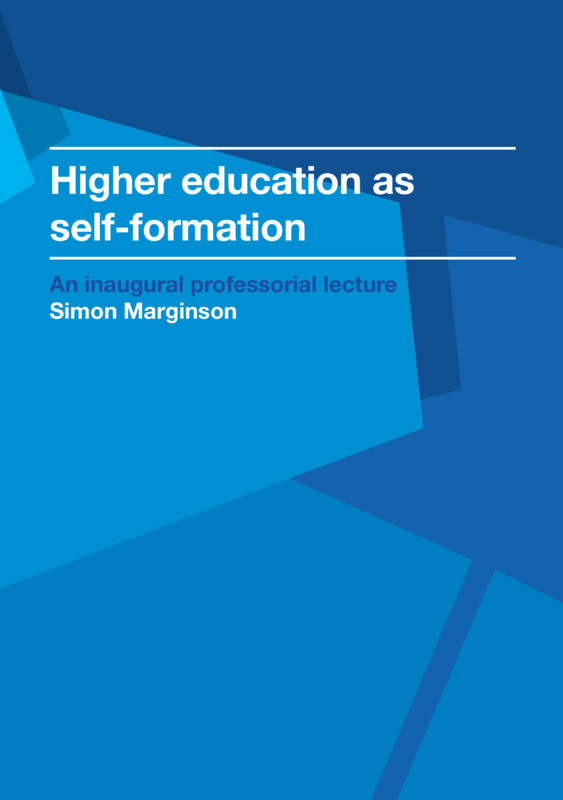 In this lecture Professor Simon Marginson draws on a sweep of ideas from the fields of education and social science, including the late work of Michel Foucault on the formation of autonomous human subjects, Amartya Sen’s forms of freedom and idea of capability, and Lev Vygotsky’s positioning of individual development in social and cultural context. And what of the apparent paradox of today’s high-participation higher education systems? While they have made self-formation more democratic and educated human capabilities more widespread, the opportunities to use those capabilities seem to be shrinking as societies become more unequal. Simon Marginson is Professor of International Higher Education at the UCL Institute of Education, and Director of its Centre for Global Higher Education.